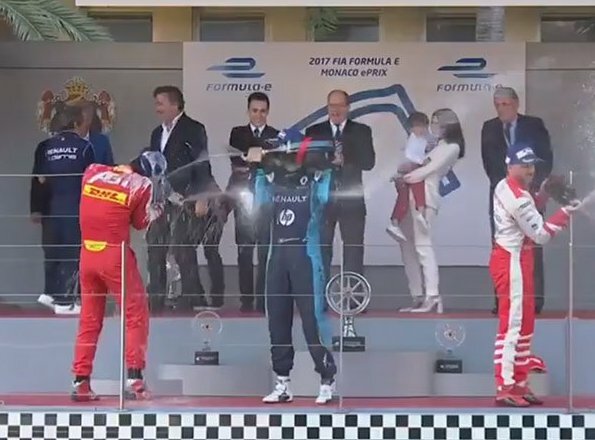 Prince Albert of Monaco, Louis Ducruet, Charlotte Casiraghi and her son Raphael Elmaleh Casiraghi attended the Monaco Formula E Grand Prix at the Circuit de Monaco on May 13, 2017 in Monte-Carlo, Monaco. She looks great here - elegant and happy. Such a change from the silly clothes at "fashion" events. Lovely photo (#5) of her laughing with her little boy. I'll agree! Much improved except for the silly heels. Eek! Charlotte looks nice. Her little boy is adorable. She has not been with Gad for quite a while. Après Gad Il y a eu .....Comme de nombreuses jeunes femmes et jeunes hommes de nos jours .Mais moins discrètement que pour eux ! Sorry, Ladies: I red "Elmaleh" and thought: "Wow, Gad is back!!! Where is he, where??". Charlotte looks so beautiful on these photos! This is the best Charlotte has looked in what seems like a long time. Very cute little boy. Also Charlotte apparently has a new bf. Spanish and French tabloids have gotten pictures of them together. They've been seeing each other for a few months. Strength, commitment, professionalism, passion, love for sports discipline, love of horses, responsibility. Good technique of riding, good jumping technique, discipline, knowledge of the sport, other important experiences. 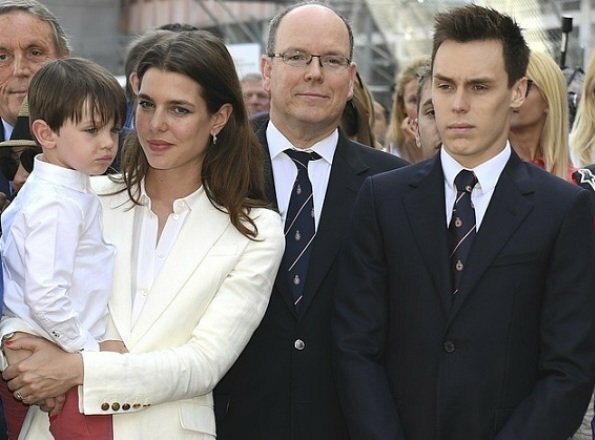 According to the analysis of sports recordings, Charlotte Casiraghi applies all her experiences, passion for her sport, knowledge and technique. Social and media pressure. Too many commitments to fulfill (does not mean that they are inadequate). Lack of respect on the part of the media. Training. Analyzing the coach, he was always the same, for years he trained Charlotte Casiraghi (possibly because of his closeness to the Grimaldi family). .... Normally the responsibility of winning a cup, the Olympics, or championships depends on an excellent team; Sportsman, coach and in this case, of horses. According to the analysis, Charlotte Casiraghi rode very good horses, they were race horses, well trained to jump. In that sense, it is possible to ask, what happened if she had most of the sports competitions (knowledge, technique, support, training, passion for his sport and love for his horses and of course the required physique), what happened? Perhaps someone interfered horses? She´s a perfect dressed, suitable for ocassion, the style of jacket makes look her so aristocratic and her hair, simple and natural looks her an interesting "look". Little Raphy makes her so tender and happy. Raphy is a little knight, his look was perfect for ocassion too. Charlotte is a beauty mommy. In that she looks perfect too. Both are in the place they must be. Vous êtes vous demandé si sans le soutien financièr et relationnel de sa famille elle aurait passé les premières sélections. Admirable the way she has supported the Global Champions tour and helped to give riding a presence in Monaco but please don't claim she's a good rider because she isn't. She's an OK amateur, with unimpressive results and the money and connections to give her access to horses of a quality way above her capabilities. And why would she ride race horses for show jumping? It's a different sport. Why do you post these rambling, irrelevant and erroneous messages? He has a fascination with the Grimaldi clan as well as Stephanie. If it was relevant it would be ok. I am happy to read a history or background information. But it is fluff information. Obtained from places that are akin to reading a fantasy novel. The last one he posted for her said she was a Philosopher. A bit of the stalker here I think. Quite strange. I don't even understand where's he's getting his information from. It's like this weird about Charlotte biography post. It just rambles on without making any sense. It's very odd and creepy. Very creepy and strange Heather and Chelsea. She looks good - I like the white suit and her shoes. She's at her best when she isn't dressing as a brand ambassador - very simple and elegant. Lovely to see little Raphaël there as well. Charlotte looks very lovely and happy here. Her shoes look quite ugly from the side but her white outfit looks lovely. Charlotte is dating a married film producer Dimitri Rassam, the son of French actress Carole Bouquet.Dimitri has a 6-year-old daughter from his marriage to model Masha Novoselova. What's with Louis Ducruet's look? I'm comparing him and Albert side by side... it looks like Albert undid his shirt top button and loosened his tie. Funny. I just can't imagine why Louis has such a sour expression. Happy Mother's Day to everyone! Flowers and calls from the kids and grandkids! Doña Charlotte Casiraghi (Auvergne-Polignac Aragon Trastamara Mariño de Lobeira-Glymes) y Goyon Matignoc Grimaldi. Emperors, Kings, Dukes, Marquisses, Counts, Warriors, Knights, Statemen, Writers, Poets, Legislators, Sportwomen, Sportmen, Explorers, Scientifics, Mathematicians, Thinkers, Defensor of Liberties, Historians. Emperor Justinian I (The Great); Emperor Charlemagnus; Kuropalates Paulus; writer of Strategikon; Leovigildus I King of Spain; Saint Hermenegildus; Hermenegildus The Great Duke of Portugal; Armand of Polignac Mathematician; Paio Gomez Chariño (Mariño) de sotomayor Great Admiral of Castilla Poet; Abd Al Raman I, Emir of Cordoba; Alaric I, King of Visigoths; Flavius Theodosius, Count and Dux Britanarum, Magister Militum; Jack Kelly, Olimpic Medal; Alexander Berg, Prusian Stateman; Janos Huneday, Hero and King of Polony. 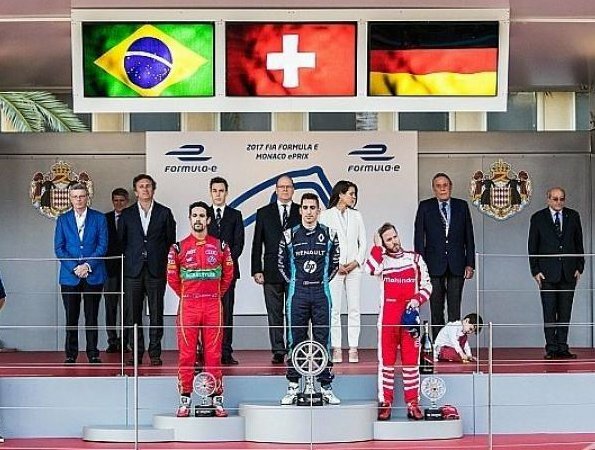 Heir in line to Monaco: None. 2. Not legitimate - his parents weren't married. 3. He's 3 not 4. 4. What's an heir at tiles? Is he going to inherit a bathroom decorating business? 5. Love all the made up stuff - does it come to you in a dream or do you just go with a stream of consciousness? Jorge Reinaldo Ruiz: Das hat das Sahnehaeubchen auf meinen Tag gesetzt!!! This person is beyond annoying ~ fake news for the most part. Omg seriously what is the point of these ridiculously long rambling posts? They make sense and no one cares. It's really stupid and annoying. Les commentaires de ce monsieur sont délirants et sans rapports avec ce blog léger,sans prétention et amical. Vous lui faites une tribune pour ses divagations,ça vous amuse peut-être ,PAS NOUS ! Ha ha ha, Rainha, und vor lauter Lachen über Ihre Antwort habe ich das Milchschaumhäubchen von meinem Cappuccino gepustet! Danke dafür! A bit sad really. Well, funny/sad. Mais Charlotte est tres chic avec son fils aujourd-hui. Bisous! I really don´t understand which is the probleme? Really, your comments are so disgreables at all. I think I have no wrote any offense to you in anyway. If you need some explanation, of course. 1. The word Don is a respect particle used in America. I used this particle with all persons I have respect and Raphaël (Raphy) is a little boy. All adults must respect children. 2. Raphy is going on 4 years old next months, so I put 4. 3. Gotha has Raphaël like Raphaël Casiraghi, it is a reputed genealogical site. 4. The professions and persons mentioned in the post were real, and they are ancestors of Raphaël. Any person can verify with a simple serious reading in serious sources. Apart of this, my post are my post, if you wish read, you can, if you don´t want, you don´t read. It is so simple. Really you are demonstrated your vulgarity at all. So that, the cream on the cup is enought and adequated. Have a nice day bad and ugly persons. How are we all bad, evil and ugly people who need psychologists? What you write is rambling nonsensical fanfiction that has absolutely no point to it whatsoever. Your so called facts aren't even true. If you want to write your weird creepy posts, at least get your info correct. But honestly what is the point anyway? No one on here gives a damn about ancestors or pedigree. Just give it a rest already! Beautiful woman with a beautiful outfit but for them shoes ...woooow they odd! I don't care what the Gotha says - he is recognised by his father and his name is Raphaël Elmaleh. I don't care if Raphaël is going to be 4 next month (he isn't, by the way, because his birthday is in December) - at the moment he is 3, so your post is wrong. 1. The link to fashion is what? Why do you post if you don't want people to read them? I don't understand what the cream on the cup expression means although I get the gist. What is an heir at tiles? I hope you also have a nice day, poster of inaccuracies and irrelevancies. Well, If you really don´t care about my comments, why really do you read them? And your question aout titles demonstrate you have no read the comment. If you read the comments, you will be able to answer your asking. ............ But if you want any explanation because you don´t read or not understand something, with pleasure I will be clear in a high perspective. Caroline and Stephanie´sons are not nobles at all.They will no heir any noble title and of course, in accordance to rules of noble inheritance impossed by centuries of royalty inheritance, they can not transmite any noble condition to their own sons. So that, any grandson or grandaughter of Caroline and Stephanie will never be nobles just plebeians. Also, sharing theory that Stephanie were Countess of Polignac, she can not give the title at your sons because title is just male (Salic law) transmition. More, all titles of France leaved to exist many centuries ago. Now, and even you answer in way you answer, this is concerning you because you really give relevance in the moment your psiquis answer like you respond. ..... In that sense, I´ll give you any other explanation for. The just only noble quality person in Grimaldi family are preciselly the sons of Albert and Charlene; consequently, any fear, any ira, any dissapoinment by that is concerning to Caroline or Stephanie not you or me. .... I just give a relevant information for some even you say you not. Now, answering your another premisse, yes, Raphaël Casiraghi is legitime just like any other baby around the world, but accordin all legal laws in all countries, he is legitime too and of course, according "enciclicas" about children of last Popes, children are legitime because children are God´s sons, children are innocence and most pure hopes of every human being. I ask a favor you, if you are nor capable to read and understand with sensitive higness my comments, just like I respect your comments, please, don´t read them, so we will not entering in bizantinian discussing. Your jokes are not jokes, your jokes are just vulgar, evil and show of insane minds. Finish the dialogue, have a nice day evil persons. I think most part of you need a psicologist. You have some serious issues. Your posts comes across as creepy and like a demented stalker. I didn't say I didn't care about your comments - I said I don't care what the Gotha says in this specific case because it's wrong. So right back atcha mate, why don't you read what I said properly ? 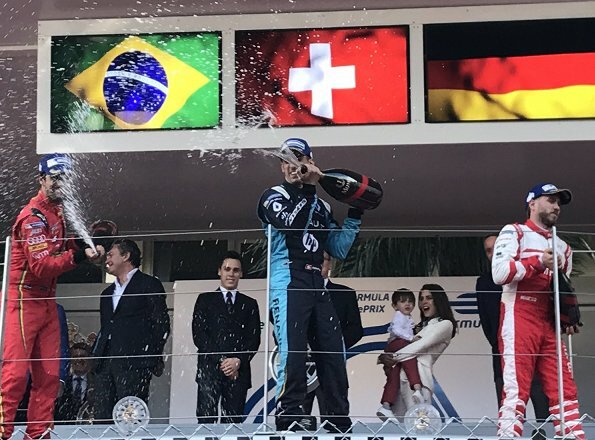 I know how titles work and I know about Monaco in particular - you don't mention titles, you spoke about tiles. And Monaco isn't France. I'm perfectly capable of reading (I don't know what you mean by sensitive highness but hey). Vulgarity must mean something different in Latin America - nothing I've said is vulgar nor anywhere near evil. Seriously, someone questioning why you think what you say is evil?!!! And I'm insane and need a psychologist? And why on earth would you think anyone was going to ask you if you be honoured to be Raphaël's father?? Also, I'm only only one person not persons. Youu finish the dialogue by not replying. I can keep this up ad infinitum. Sorry Franny but vulgarity is vulgarity in any way. 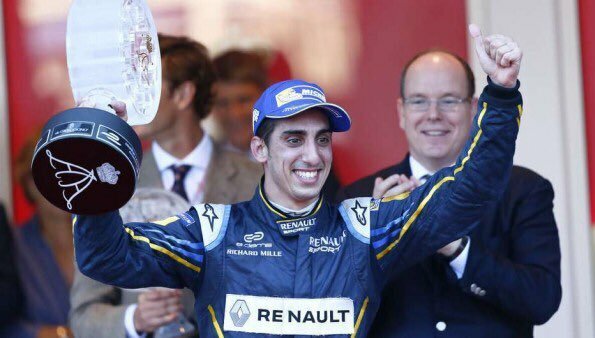 There is not excuse by ulgarity and yes, Monaco is not France; consequently, you are giving me the reason. By hurting at persons in any way, that is just coming of vulgar persons; no matter how, if that attitues are directed to adult or young persons or any class persons; least, dirving to children. Evil is evil, if you make buling at a child, that´s evil (It´s an example). On the other hand a person ask me about be husband of Charlotte in no suitable way; for that reason, I simple advance any comment in that sense. Perhaps, you are not a vulgar person makes disagreable jokes to athers or you have no some grade of evil but you must recognize that many comments have came from bad persons, persons that maybe need a psicological treatment. Fashion? Well, this blog in acordance with the blog title is about Royalties, not fashion, Vogue is just fashion, this blog no. Consequently any comment involving a "royalties" in any way is suitable by blog; perhaps, you or many of you aren´t suitables for blog. Yes, you can maintain this ad infinitum but that would be inadequated. Persons in this blog have transformed some simple comments in a tired discussion without reason. You really want substain such discussion? Franny, I respect all comments, simply, respect all comments too; of course, this is for all. The respect for others is something that learned in home. I respect your opinion even you´re wrong, that´s your right. I tell you again, if really all of you are not interested in my comments, why reason all of you are fighting with me? That´s not logic. Charlotte is a good person and her boy too (a boy has no bad things), every people has a life and every person heir many things about its ancestors by genetic or acquiered characters too, that´s real and each person can accept that or not according its bad or good values; of course, It is not force that one person be reflex of its ancestors but in certain cases that is evident. ..... By obliguing by force a person to do things he or she don´t want, that´s no honorable nor honest, by obliguing one person to pay debts that are not of him or her, that´s no honest nor honorable. You seem an intelligent person; consequently, you must understand so fine I tell you.